I would like to introduce you guys to two dynamic young men,Jason and Kyle. I am not going to say much about them as you can read more about them in the right up. I would just like to say that they encourage me so much,knowing from what background they come. You guys make me proud. But enough from me.Read more about them and please support them. New trends & outlooks started with two youngsters from Bridgetown Athlone .Kyle Jonck (20yr )and Jason Martin(19yr) ex-drug addict met at the Impact centre ,they decided to start a business conference. New trends & outlooks endeavors to have business conference’s, where information could be exchanged, relationships built and doors with opportunity opened .The business conference also aims to serve as means for networking among leaders and entrepreneur’s. 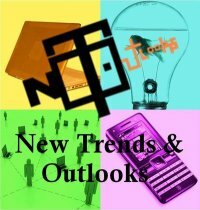 New trends would like businesses to think innovatively and to do things that are out of the box. We would like to send you this special invite to attend our business conference. Marlon Parker, Dave Duarte, as well as a representative from Rlabs and more. . .
You are currently reading Support these two dynamic young business men from New Trends and Outlooks at A JOURNEY OF A THOUSAND MILES BEGINS WITH ONE STEP.